Why submit a record to the South Australian Rarities Committee? Birds SA aims to maintain a standard of rigour to rare bird sightings through the South Australian Rarities Committee (SARC) and seeks reports for any bird listed on the South Australian Rare Birds Review List or any bird new to the State. Records of rarities are of value to the ornithological community. They contribute to the understanding of distribution limits, migration routes and field identification of many birds and may provide early evidence of environmental change. It is important therefore that rare bird records are evaluated and verified. This committee of Birds SA members, experienced in identification and distribution, votes on submitted records, which are then recorded either as confirmed or unconfirmed; none is rejected. Confirmed records are incorporated in lists or maps of species occurring in South Australia but all records are retained in the Association’s database. SARC decisions are not final, do not bind the observer and can be reopened. As with any published report, future information may support a challenge to refute any claim of presence or absence. 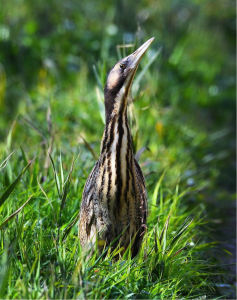 What you should do when you encounter a rare bird? First take a detailed description. Then get other people to see it, if possible, and obtain documentation such as photos or tape recordings. The sequence in which you do these things will depend on circumstances. Taking a detailed description is the most important, because it may not be possible to get photos or to show other people. With detailed notes from a clear observation (before consulting any authority) you will often be able to make a correct identification and so will the committee. Field notes are best recorded while the bird is in front of you. Sometimes this is possible, such as when watching waders but it may not be so when watching bush birds or seabirds. Approaches vary; some take notes very quickly while the bird is in front of them; others try to absorb every detail before writing it down, preferring to spend every opportune second looking at the bird rather than at a notebook. Do whatever works best for you. The key thing is to get notes down as soon as possible, and in particular, before you have consulted any literature that might subconsciously distort the memories of what you actually saw. Sketches can be valuable and, while some bird observers are better at sketching than others, anyone can improve with practice, and annotations can go a long way to cover any shortcomings. 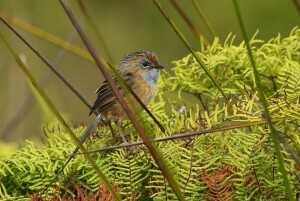 Southern Emu-wren at Mt. Compass. Taking detailed notes can help clinch a rare bird sighting if the notes refer to key features of that particular species. Notes on size, shape, plumage, colour of soft parts and behaviour make up a composite description. It is important to record only what you have seen or heard before reading a Field Guide to check what you should have recognized, since that will distort the memory and diminish the value of your observation. Descriptions that lack some seemingly important details may yet be reckoned confirmed, provided the information supplied is sufficient for correct identification and will exclude other possibilities. Obviously it is desirable to record as much as possible of the bird. Consider also reporting any rarity found by others, since the finder may not do so or will miss aspects that you detect. A submission of a rarity may include notes taken by several observers, and this can enhance its prospect of being confirmed. What is expected in a Submission? 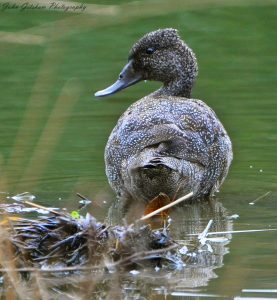 A Rare Bird Record Report Form can be downloaded from the Birds SA website and will help you to provide the information needed. Descriptions will be accepted in other formats, such as including a photocopy or transcription of your field notes with a partially completed Rare Bird Record Form. This will depend upon the complexity and nature of the submission. Sometimes it is necessary to seek expert advice from outside ornithologists. Generally, a result will available within 3 months and the observer will be the first to know. A rare bird record may be announced at Birds SA meetings and may be published in the Newsletter but will carry a qualifier “subject to review by the South Australian Rarities Committee”. When a record is confirmed this will be posted on the website and reported in the Newsletter and the Annual Bird Report.